Promotional products are one of the oldest – and most effective – ways of advertising a business. Every year, American businesses spend an average of $20 billion on promotional products, giving away anything with logos such as wearables, writing instruments, bags, desk items, calendars, glassware and many more items. The success of promotional products hinges on the idea of time-honored concept of reciprocity: if I you give something, you will be honor-bound to return the favor by giving something back. As such, big and small businesses have used promotional materials as part of their marketing strategies. Even non-profits and research institutions typically send potential donors with personalized address labels or tote bags to increase response rates. However, successful promotion campaigns don’t happen by chance. To realize goals, promotional products programs must be carefully planned, taking into consideration the audience, budget and, of course, the ultimate result to be gained. Whether the goal is to increase traffic at a trade show exhibit or to boost sales with current clients, the first step in any campaign is to clarify the purpose of the program. Determine a workable distribution plan to a targeted audience. Distribution of a promotional product is as important as the item itself. Research shows that a carefully executed distribution plan significantly increases the effectiveness of promotional products. For example, a pre-show mailing to a select audience delivers more trade show traffic and qualified leads than simply distributing items to passerby at the show. Linking a recognizable logo and color to all aspects of a campaign, from promotional products to sales sheets to product packaging, helps create an instantly recognizable image. Choose products that help underscore your marketing message and differentiate your company. Develop a message to support the theme. Supporting a campaign’s theme with a message helps to solidify a company’s name, service or products in the target audience’s mind. For instance, to promote its services to small businesses, a bank created the theme “Are you tired of being treated like a small fish?” and sent fish-related products to its prospects along with promotional literature. Select a promotional product that bears a natural relationship to your profession or communications theme. Choose products that your recipients will use. Personalize the item. More than your company logo, recipients prefer seeing their name on the products. To the extent possible, make it the best of both worlds – print your logo on the product as well as the recipients’ names. Use a qualified promotional products consultant. 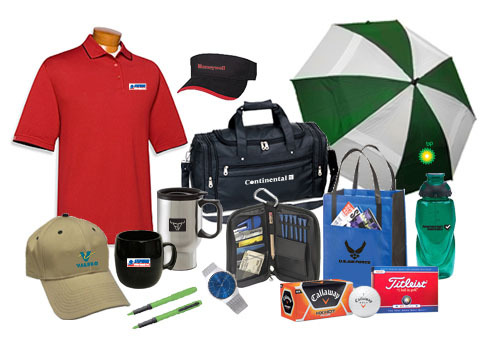 A good promotional products consultant will help you answer all of these questions as well as offer a variety of value-added services, including unique product ideas, creative distribution solutions and insight on the different imprinting methods just to name a few. Thanks for investing in this research. While we are honored that the efforts of FreePromoTips.com are being recognized, I think a great benefit is that our industry understands the value of online engagement. In today’s marketplace, this is critical. Those on this list, many whom I know personally, are passionate about our industry. We see the value of sharing relevant content and interacting through the online tools we have available. Our industry will be well served to move past posting the latest “special” and offer information that has value. My hope is that this survey will encourage others to get involved and offer meaningful content that is beneficial to our industry.